Back in 2010 I watched a series on tv, A History of Horror, hosted by Mark Gatiss. The second episode of this series was entitled ‘Home Counties Horror’ in which Gatiss focussed on British horror films of the ‘50s, ‘60s and ‘70s. I remember this episode vividly because Gatiss discussed three films which I’ve long had a fascination with, The Wicker Man, The Blood on Satan’s Claw and Witchfinder General. In discussing these films he put two words together to describe a sub-genre, Folk Horror. Folk Horror! Such a simple phrase with such a depth of meaning. It ignited an indefinable something in me; it seemed that all the subjects I had long been interested in had suddenly been gathered together and given nomenclature. And it seems I wasn’t the only one. 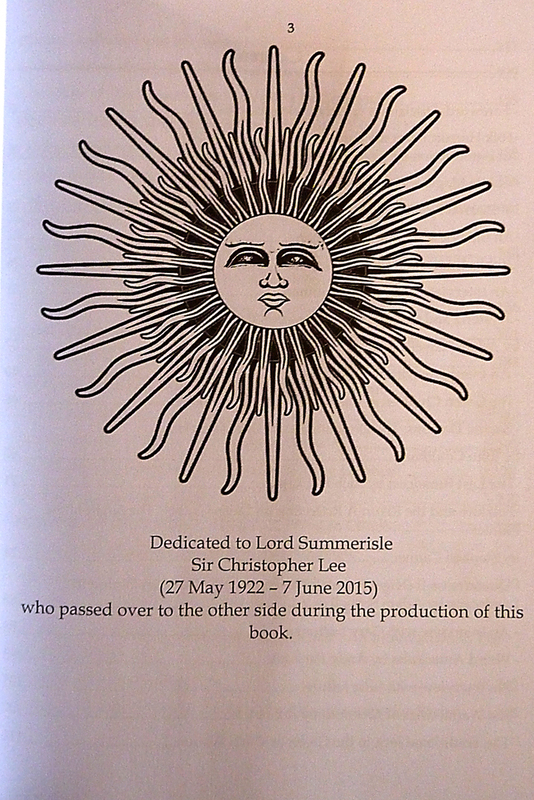 On the back of the Folk Horror Revival group Paciorek recently created Wyrd Harvest Press, a small press dedicated to the subject. Their first publication is Folk Horror Revival: Field Studies. So, what exactly is Folk Horror? Well, that’s a difficult question to answer as, by its very nature, it’s a nebulous thing. Each individual element of it is often shrouded in obscurity and the connecting threads are often intuitive rather than concrete. The definition of the phrase is something the Facebook group has been grasping for and this book elucidates upon; Paciorek gives an excellent overview in his introduction to this book. For me the key to the subject would perhaps be somewhat inadequately described as “works which explore the darker side of humanity’s instinctive interaction with the landscape they find themselves in”. I’ve been using this theme in my own writing for several years. Now there’s some titles to get your imagination racing! And that’s really just skimming the surface, add to those other articles referencing folklore, film, literature, music, occultism, paganism, hauntology and psychogeography and you’ve got quite a collection. We also have interviews with the likes of Philip Pullman, Thomas Ligotti, Robin Hardy and Alan Lee. If you read this blog regularly, or if you’ve stumbled across it by accident and have got this far, then I would hazard a guess that you will find something in this book to interest you. 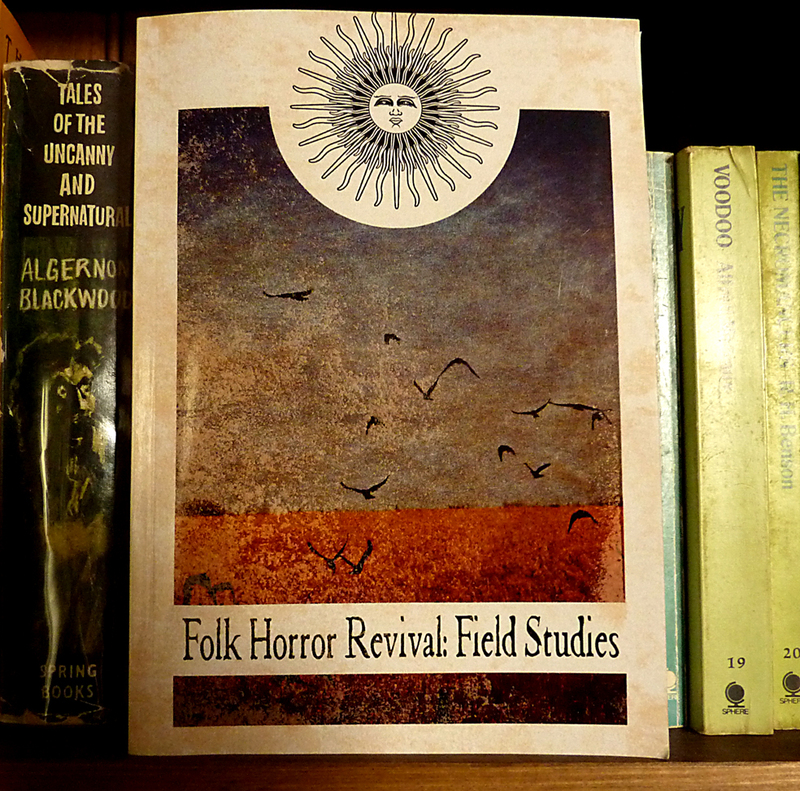 Folk Horror Revival: Field Studies is available to purchase at the link below. At 500 pages it’s quite a hefty tome for £15.00 and, even better, 100% of profits go to The Wildlife Trust (which is, incidentally, an organisation I worked for as a ranger many years ago). This sounds like a most intriguing tome Mr Nash, I must investigate further being a huge fan of folk horror myself. The three films you mentioned which Gatiss covered in his excellent series are also hugely important to me and were pivotal in forming my love for the more esoteric side of horror cinema. The dedication to Christopher Lee is very touching too. Many thanks for bringing this book to a wider audience, I shall be ordering my copy shortly. All the best my friend. I thought this might be very much up your street, Mr Scriber. The wonderful music mix you made a while back entitled Rural Weird was a dead giveaway! Thankyou kindly, Ms. Swann. Yes, all that and much more in a single, rather chunky, volume. Nice looking blog you have there, by the way; off to have a rootle around there now.